What Are Parametric Nonlinear Regression Models? y is an n-by-1 vector of observations of the response variable. f is any function of X and β that evaluates each row of X along with the vector β to compute the prediction for the corresponding row of y.
X is an n-by-p matrix of predictors, with one row for each observation, and one column for each predictor. β is a p-by-1 vector of unknown parameters to be estimated. ε is an n-by-1 vector of independent, identically distributed random disturbances. In contrast, nonparametric models do not attempt to characterize the relationship between predictors and response with model parameters. Descriptions are often graphical, as in the case of Decision Trees. fitnlm attempts to find values of the parameters β that minimize the mean squared differences between the observed responses y and the predictions of the model f(X,β). To do so, it needs a starting value beta0 before iteratively modifying the vector β to a vector with minimal mean squared error. You cannot use categorical predictors for nonlinear regression. A categorical predictor is one that takes values from a fixed set of possibilities. Represent missing data as NaN for both input data and response data. There are several ways to represent a nonlinear model. Use whichever is most convenient. The nonlinear model is a required input to fitnlm, in the modelfun input. fitnlm assumes that the response function f(X,β) is smooth in the parameters β. If your function is not smooth, fitnlm can fail to provide optimal parameter estimates. Examine the function by entering type hougen at the MATLAB® command line. %HOUGEN Hougen-Watson model for reaction kinetics. %   parameters, BETA, and the matrix of data, X. %   Copyright 1993-2004 The MathWorks, Inc.
You can write an anonymous function that performs the same calculation as hougen.m. Represent the formula using 'x1' as the first predictor (column) in X, 'x2' as the second predictor, etc. Represent the vector of parameters to optimize as 'b1', 'b2', etc. Write the formula as 'y ~ (mathematical expressions)'. For data in a table or dataset array, you can use formulas represented as the variable names from the table or dataset array. Put the response variable name at the left of the formula, followed by a ~, followed by a character vector representing the response formula. This example shows how to create a character vector to represent the response to the reaction data that is in a dataset array. Put the data into a dataset array, where each variable has a name given in xn or yn. Examine the first row of the dataset array. Write the hougen formula using names in the dataset array. The initial vector for the fitting iterations, beta0, can greatly influence the quality of the resulting fitted model. beta0 gives the dimensionality of the problem, meaning it needs the correct length. A good choice of beta0 leads to a quick, reliable model, while a poor choice can lead to a long computation, or to an inadequate model. For information on representing the input parameters, see Prepare Data, Represent the Nonlinear Model, and Choose Initial Vector beta0. fitnlm assumes that the response variable in a table or dataset array tbl is the last column. To change this, use the ResponseVar name-value pair to name the response column. There are diagnostic plots to help you examine the quality of a model. plotDiagnostics(mdl) gives a variety of plots, including leverage and Cook's distance plots. plotResiduals(mdl) gives the difference between the fitted model and the data. There are also properties of mdl that relate to the model quality. mdl.RMSE gives the root mean square error between the data and the fitted model. mdl.Residuals.Raw gives the raw residuals. mdl.Diagnostics contains several fields, such as Leverage and CooksDistance, that can help you identify particularly interesting observations. This example shows how to examine a fitted nonlinear model using diagnostic, residual, and slice plots. Create a nonlinear model of rate as a function of reactants using the hougen.m function. There is one point that has high leverage. Locate the point. Nothing stands out as an outlier. Use a slice plot to show the effect of each predictor on the model. You can drag the vertical dashed blue lines to see the effect of a change in one predictor on the response. For example, drag the X2 line to the right, and notice that the slope of the X3 line changes. 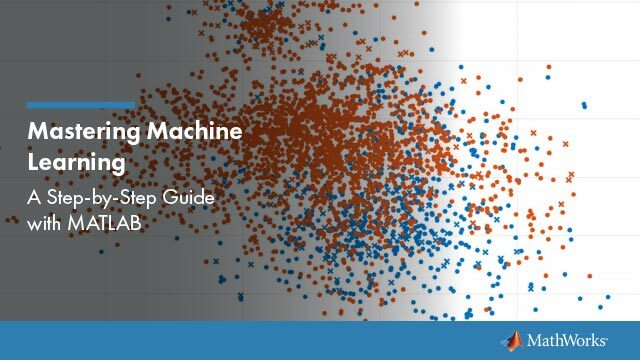 This example shows how to use the methods predict , feval , and random to predict and simulate responses to new data. Randomly generate a sample from a Cauchy distribution. Generate the response according to the model y = b1*(pi /2 + atan((x - b2) / b3)) and add noise to the response. Fit a model starting from the arbitrary parameters b = [1,1,1]. 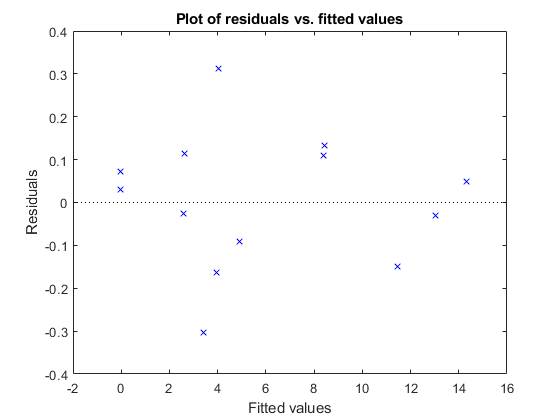 The fitted values are within a few percent of the parameters [12,5,10]. The predict method predicts the mean responses and, if requested, gives confidence bounds. Find the predicted response values and predicted confidence intervals about the response at X values [-15;5;12]. The confidence intervals are reflected in the slice plot. The feval method predicts the mean responses. feval is often more convenient to use than predict when you construct a model from a dataset array. 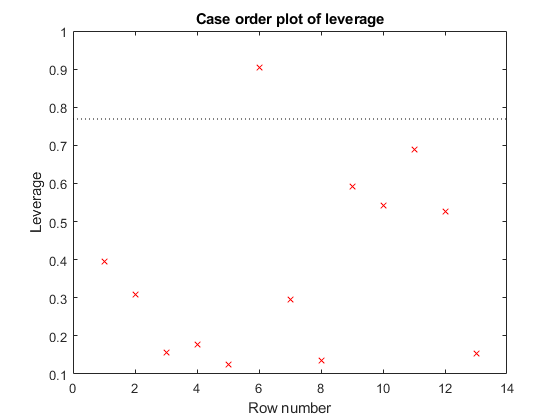 Create the nonlinear model from a dataset array. Find the predicted model responses (CDF) at X values [-15;5;12]. Rerun the random method. The results change.